Our strong engineering, manufacturing, quality management and field experience background results in effective control and resolution of interfaces between various engineering disciplines. We have been counted amongst the most trusted names in this domain, engaged in providing VMC Machine Job Work. We are a unique name in the industry to provide our valuable clients the best quality VMC Machine Job Work. 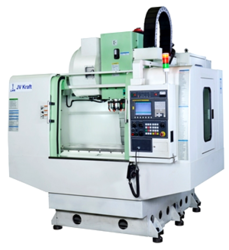 Our company holds immense experience in this domain and is involved in offering VMC Milling Machine which is engineered using modern tools and machinery. We do milling job work in our in house production facility. We are the Leading organisation to provide our clients an optimum quality VMC and CNC job work on imported machines. We have VMC (Hitachi Seiki ) CNC WIRECUT (Electronica) Hp SURFACE GRINDER (Blohm Germany )PLANO MILLAR (Ezio Pensoti Italy) we have all solution regarding any job. D. R. Panchal & Co.
We are also, offering cnc and vmc job work to customers. We have also, ruffing and proper inspection facility to fullfill customers requirement. 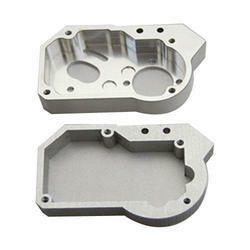 We have deep expertise in providing best CNC Machining Services. Professionals keep themselves up to date with changing technology and offer best services. In addition to this, these presented services are satisfying and accomplished by professionals by showing lenient behavior to patrons.